The ‘Doña Chana’ Cultural Park counts with a rehearsal room for the Orotava Music Group, the Orotava Music Association Academy offices, an Exhibition Room and an Outdoor Stage. It also houses the Environmental Education Centre and the urban ecological orchards. The ‘Doña Chana’ house and estate consists of a building from the 1920s-1930s, with a total area of ​​13,764 square metres. The main house is 750 square metres and has multiple rooms, in addition to a service house and garages. 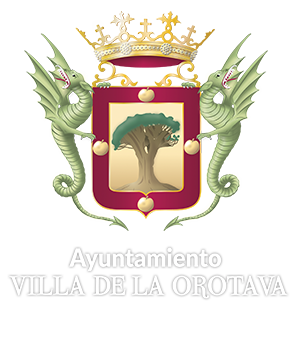 Regarding the estate, a real urban park in the heart of La Orotava, it has a large Renaissance style garden, with several orchards and numerous trees and bushes. Since its inauguration, different activities have been carried out in its premises, such as the ‘Panzaburro’ Festival, ‘Baifo's’ Rock Festival, Elite Club Festival, ‘Villa de La Orotava’ Chamber Music Festival, Parallel events of the Music-themed Festival, Film Workshops, Musical Camps .. .. It has served as a venue for countless audiovisual projects. Hours: Monday-Friday from 9:00 a.m. to 3:00 p.m. and from 4:00 p.m. to 11:00 p.m. / Saturday-Sunday from 10:00 a.m. to 2:00 p.m.